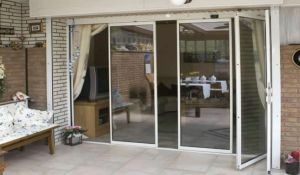 If you are in the market for a new bifolding doors, then you may be considering ultra slim or frameless bifolding doors. These variations on the conventional bifolding door provide a folding door but one that gives you much more glass and less visible aluminium than a typical bifolding door. Frameless glass doors are designed to feature maximum glass and little visible framing. What is the definition of a frameless bifolding door? Some bifolding doors are not frameless but marketed as such. Who makes frameless bifolding doors? Comparing Sunseeker, ID Systems & Frameless Glass Curtains. Sunseeker Doors Frameless Glass Doors. 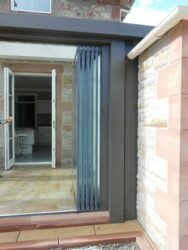 Glass options on frameless bifolding doors. Glass options separate and differentiate frameless glass doors. Profile Dimensions of Frameless Glass Doors. Frameless Door Weather Performance and Security. Frameless bifolding door warranties and guarantees. Why Frameless Glass Curtains is the better frameless bifolding door. It meets Building Regulations and has certification. How much do frameless bifolding doors cost? The fundamental difference between a frameless bifolding door and a conventional folding door is how it looks, how it operates and its construction. 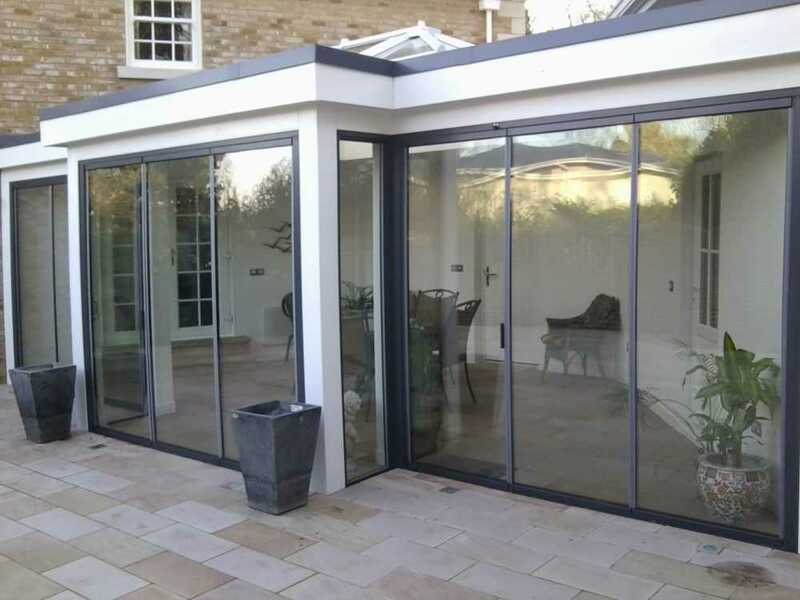 A frameless bifolding door does away with the aluminium profile on many of the verticals and is intended to give a cleaner, clearer appearance as though you have a wall of glass. 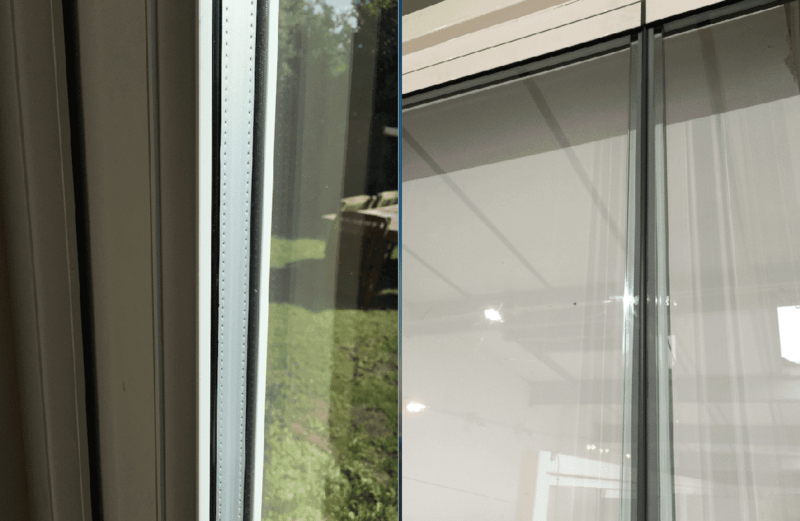 Frameless bifolding doors, in short, comprise far less aluminium than a standard bifolding door – but are they truly frameless? Only a structural glazed product can feature no frame at all; many commercial buildings can feature structural glazing. So while the use of the word ‘frameless’ may imply that there is no frame at all there always will be some. Aluminium is still required not only to provide strength and integrity to the product but also to provide a fixing point for the hardware and for the doors to hang and work correctly. Aluminium will also be used to the perimeter frame so that it can be fixed to the structure. The threshold will also be made of aluminium. What frameless glass doors have is a design that aims to use as little visible aluminium as possible and more visible glass area than a regular full framed aluminium door. If we have therefore established that a frameless door must still consist of some framing to critical areas, what constitutes a frameless door? To a door or window professional, a ‘mullion’ is a specific window section or a combination of sections designed to create a vertical member or the appearance of one. In our opinion, a frameless door can be interpreted as one with no visible mullion. No mullion means no visible section on the intermediate verticals where all the doors meet. The correct definition of a frameless door is one that has no mullion. FGC Doors showing a minimal visible sightline (the gaskets). Sunseeker doors are slim but the profile where doors meet is clear to see. ID Systems again with a visible profile where the doors meet. No mullion should also mean no capping pieces, flat bars or any aluminium or plastic profile at the junction where the door panels meet. This is our interpretation of what constitutes a frameless bifolding door. Others may disagree by our definition. 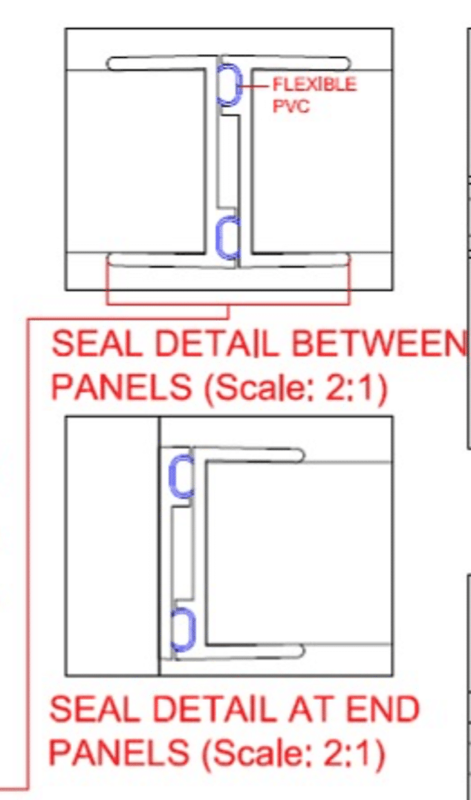 However, all three products we are comparing here (and others) market themselves as not having the door profiles found on conventional doors where they meet. With this in mind, we consider the definition a fair one. When choosing a frameless door, it’s important to separate the facts from the fiction. Just about anyone researching a product will turn to the internet and most likely Google. However, a search for “frameless bifolding doors” will throw up a wide variety of results, in both the organic and sponsored listings. Many companies are bidding for the keyword ‘frameless’ and ‘bifold’ for you to click on their website, but they do not offer this product at all. We checked. Study the images that accompany frameless doors and you will often see standard doors instead. Even national brands are advertising frameless doors, but they don’t offer them. We checked. Many advertised frameless doors are single glazed only. They are for internal use and don’t have weather ratings. Doors marketed as frameless double glazed doors have a profile where the doors meet in the middle – a visible ‘mullion’. Several products are only for internal or commercial use. Some frameless doors are the same products with a different brand name. Our goal was to find three frameless doors that are suitable for residential use and that which we could compare. Sunseeker Doors Frameless Double Glazed System. There are other products on the market too. For example, there are Sliding Glass Walls from DORMA; although these are for commercial applications and not for dwellings. You will also find the FD75 flush glazed door from The Folding Sliding Door Company. We couldn’t consider it as a frameless bifold for this review. Although it may give the appearance of being frameless it still relies on framing all the way around the door panels. It is the way the glass is constructed that contributes to its seamless appearance. That being said, we do like this door and would recommend considering it if you’re not explicitly looking for a frameless door. Another company you will find is Finline doors, but these are the Sunseeker product. Optima is a further choice but like DORMA these are intended for commercial or internal applications. What became evident in trying to fathom out these different products was that the frameless door description is overused. There was no common theme around these doors. So it is important to clarify first, what exactly is a frameless door? These three products all offer different visuals, technical specifications, price points and guarantees. The choices you’ll make will be based on your specific criteria. We receive daily enquiries from consumers asking “what’s the best window” or “what’s the best door”. While all products will meet minimum industry standards, some are better made, have more impressive features of varying levels of customer service. It is the features that matter to you that should influence your decision. 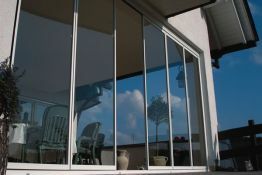 Frameless Glass Curtains, Sunseeker and ID Systems products are great sellers and popular. All three products compared here are also beautiful doors. Each company is established and has a successful track record in what they do. Sunseeker has previously reported year on year growth, so their doors are clearly popular with customers. Frameless Glass Curtains have designed their product from scratch and install them nationwide and internationally. Their doors have recently been fitted in a world-class luxury cruise liner. They have also been provided anywhere from a terraced house to a mansion, eco homes and commercially. ID Systems also provide their products to a large number of different dwellings, and they too have carried out some very impressive installations. All the products differ, some are better specified and better certified. Our goal is to give you some balanced and impartial information to help you come to your conclusion. ID Systems offer a range of doors but the frameless version is only single glazed. ID Systems are based in Norwich and provide a wide variety of glass products. In their range, you will find bifolding and sliding doors, Glass Walls, windows, entrance Doors, roof products and balustrades. 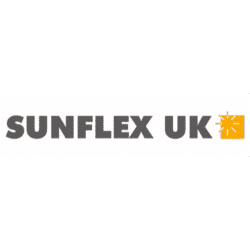 ID Systems have been established for over 20 years and also offer the excellent Sunflex folding door brand. The SF25 system by ID Systems is a good looking slim and aesthetically pleasing door. It cannot be used for comparison purposes as it is only available as single glazed. Great if single glazed doors are suitable for your project or going inside the home, but we suggest for many it won’t be acceptable. 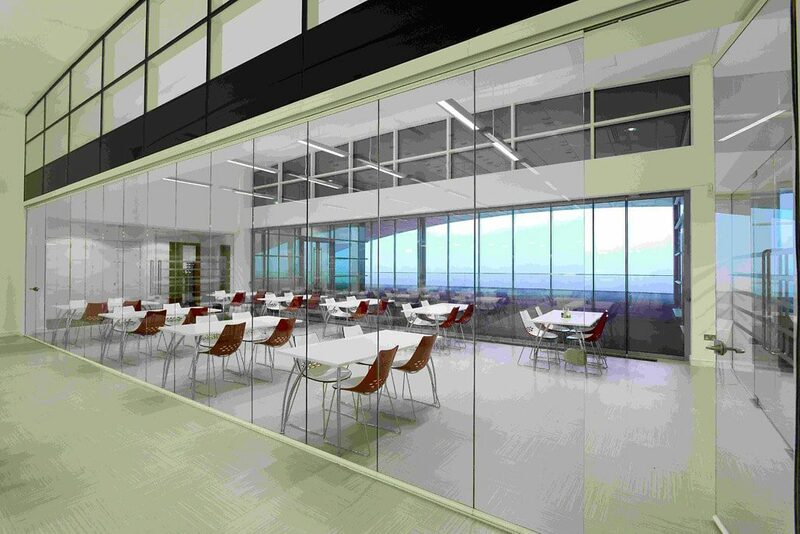 SF20 by ID Systems is an internal frameless door system. We like this because not only is it frameless and sleek but can provide door panels of 1600mm wide and up to 2600mm in height. Where its limitations become apparent is that it can only come with a maximum of five panels. The FGC door, by comparison, has been used in many internal applications as a single or double glazed door and can be made with more panels as needed. ID Systems do offer further choices with their slimline slide and turn SF30 and SF35 products. However, these have (albeit slim) aluminium between the glass doors so we would not regard these as frameless in the same way FGC doors are. They also imply that these products are better used to close off a conservatory (while still meeting Building Regulations) rather than a full external door. These doors can also be made as curved and angled doors too. So ultimately when compared to ID Systems, Frameless Glass Curtains offer both an internal and external solution by providing a single and double glazed product in a frameless door. Their doors also have no restrictions on Building Regulation compliance and no criteria that they are better used internally. Sunseeker doors while visually similar to frameless doors still use a plant-on profile, a mullion. Sunseeker Doors offer their Frameless Glass Doors. These too are an aluminium system on the perimeter frame and the horizontal rails of the door panels. However, there the similarity ends. Sunseeker doors while they may look similar in their images have a 38mm plant-on section surrounding the double glazed units where each side meets. This section applied at this point is relevant. The reason for this is that the Sunseeker doors use standard double glazed units. If a double glazed unit is left with exposed edges and they are not protected, the glass unit will fail, not to mention the sides of the glass would be visible and unsightly. Finally, Sunseeker doors can only go up to 800mm wide per door panel, whereas the other two brands can be made larger. Frameless glass curtains feature no mullion or frame where the door panels meet. 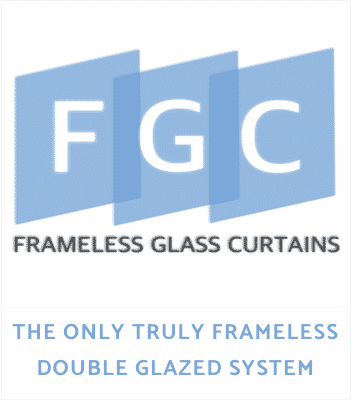 Frameless Glass Curtains (FGC) offer a selection of glass door products manufactured in their factory in Chatham, Kent. They supply and install on a nationwide basis to residential and commercial properties. In their range, you will find entrance doors, room dividers, glazed screens and of course the frameless bifolding doors. FGC design and patent their doors with some innovative features and innovations. Some of these include high levels of security, sound and thermal insulation and impressive weather resistance. In a double glazed frameless bifolding door from FGC, you will find glass made from Pilkington Planitherm 4s. It has a ‘U’ value of 1.0 W/m2K. In practical terms, this creates a thermally efficient product that is comfortable as an all year round door. FGC doors can be ordered as single or double glazed doors and are suitable for fitting internally or externally. They also come with a ten-year guarantee. In the following sections we take a look at the various features that make up a Frameless Door system and explain some of the key differences. All doors feature the slide, swing and fold arrangement that is typical of how these doors operate. The access leaf is swung open and then each panel slides along the track to its stop and hinges open. With all door panels open, they are stacked in a folded open position. Be careful that frameless doors aren’t those intended for internal use only and single glazed. If you are looking for an internal frameless glass door, it is fair to say any of these three products will be suitable. If you are looking for an external door – a bifolding door, you will want a double or even a triple glazed door. As we suggested, some frameless systems are only available to buy single glazed when asked for as a frameless glass door. Do check this out when looking at these and other products on the market. A single glazed frameless door makes for an excellent room divider, pool enclosure or to separate off a garden. All three companies can provide this product in these circumstances. Sunseeker Doors offer their frameless doors as single glazed only. If you want a double glazed option, you’ll have to go with their Ultraslim variant but have a visible mullion. ID Systems offer their Sliding Turn Systems but state clearly on their website that they are ideal for balconies, room dividers, and patio areas. However, they are clear that these doors only provide a ‘moderate’ weather rating for projects that do not require compliance with current Building Regulations. Therefore this rules them out for external use. Therefore for glass options, the Frameless Glass Curtains product comes out on top. You can have single, double or even triple glazed in one product. Aesthetics is a personal matter. Everyone will have a different view as to which product is the better-looking door. Study the images of all three doors on the company websites and you’ll see some great installations set off by some beautiful doors. Using our definition of no visible mullion, the Frameless Glass Curtains is the clear winner. This is not to imply that the other doors are aesthetically inferior. The FGC product is the only one we know or could find with no visible mullion. The Frameless Glass Curtains doors are designed and engineered to do away with the visible profile, no matter how small or slim, that the other doors used and require by design. Sunseeker, ID Systems and other products all rely on some form of aluminium or plastic profile at the vertical areas where the doors meet; FGC uses sophisticated gaskets only. Again the result is no visible mullion. FGC have achieved this through many ways, but one excellent detail is in the unique glass they use that is different from anyone else. Their doors use quality glass just like any other, but the spacer bar that separates the two panes is what’s unique. Where all other double glazed products use a metal or plastic spacer bar, FGC’s is made of glass, and it’s toughened as well. FGC have also patented this toughened glass spacer bar and it is totally unique to them. Sunseeker doors features a cover strip over the glass where it meets in the middle and on the ends. Only a gasket between the doors. Other doors rely on aluminium or plastic profile. ID Systems, depending on the product will show visible profile if double glazed. A typical spacer bar found on most double glazed units. The edge of the glass detail looks sleek, continues the transparency of the glass right to the edge and looks completely different. Looking at the FGC doors close up reveals a really great design feature. We had never seen a double glazed unit with a glass spacer bar before, and we recommend you see it for yourselves. All matters of visible mullions, spacer bars and aesthetics aside, we reaffirm that all three doors are attractive. For clarity, we provide some of the critical dimensions for each of the products. The Sunseeker frameless system frame is 40mm high by 63mm thick. 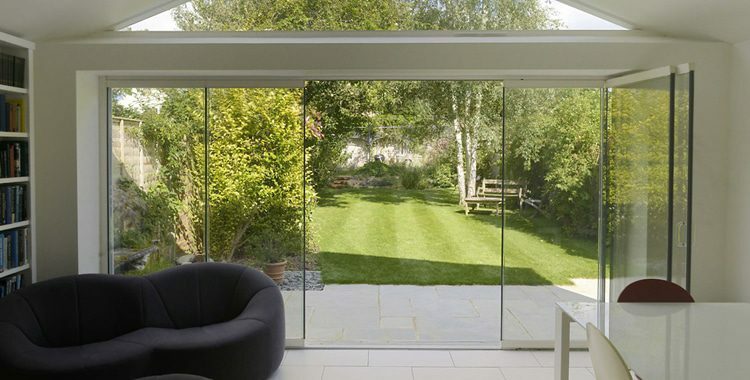 The Frameless Glass Curtains Clearline system is slightly different at 44mm x 61mm. The 4mm difference between the two is marginal and won’t affect the visual sight lines that significantly. For the door panels themselves, Sunseeker doors are 42mm high and 51mm thick. The FGC Clearline doors are smaller than this making for a slimmer door. The ID Systems doors also stack cleanly and neatly and offer similar dimensions to the above. Technical information wasn’t available to give you specifics. It really will depend on what product you decide to use from their range because of the single glazed issue highlighted above. In the fully folded position, Frameless Glass Curtains take up much less space than fully framed doors. One advantage to having a frameless glass door is that it takes up far less space when all the panels are folded back. Full aluminium bifolds will usually take up far more space when all stacked together. This is because the doors are thicker front to back so it is logical that they will be bulkier too. Taking a four-panel door as an example in the fully stacked open position, Frameless Glass Curtains come out as the slimmest with only 180mm of stack taken up. Sunseeker doors are nearly twice as thick at 310mm. ID Systems are virtually the same as well. Therefore if you are looking for the frameless door that will take up a small amount of space, FGC wins it. In our experience stacking thicknesses of doors are not the deciding factor for buyers – overall aesthetics tend to matter much more. However, you will want to consider this if you have doors inside your home as room dividers. The FGC doors are the slimmest of the three. As far as the thresholds are concerned, the door made by Frameless Glass Curtains has the competition beaten on the heights. Their doors offer an unbelievably slim threshold that sits only 5mm above the finished floor level. That aside, all systems can be set into the floor as low or high as desired to achieve a flat floor level inside and out. We were unable to establish clearly whether the Sunseeker and ID Systems products have passed any weather or security standards. This does not imply they will be easy to break into or that they leak. If sales of standard doors and windows are anything to go by, consumers want to see some evidence of certification. On an ID Systems and Sunseeker door, it is quite hard to clarify. We’d welcome their confirmation on this. Therefore if you are considering either the ID Systems or the Sunseeker frameless products in whatever variant, we would recommend you establish in writing what you are getting. With both being established businesses customers are buying their products, but we expected to see a more transparent approach to what their frameless products achieve technically. FGC are very clear in what their doors offer. They meet the latest enhanced PAS security standards, severe weather rating and quality standards for their glass units. Once again we recommend you check out each company to establish clearly what performance standards, certification and testing has been carried out. With Sunseeker there was little by way of clear information either on their websites or when we contacted the Company. Our understanding is that Sunseeker doors offer a 2-year guarantee on their products. Frameless Glass Curtains offer a 10-year insurance backed guarantee. ID Systems market a 5-year guarantee although we’d recommend establishing whether this is across their entire range, or product specific. Their warranties are also transferable should the property be sold during the warranty period. When compared to the Sunseeker and the ID Systems doors, Frameless Glass Curtains are the better door. There are three key points that make this product different and worthy of consideration. These key points may not matter to every customer as each will have different requirements. However, for aesthetics, completeness and certification, FGC doors come out on top. All three products are excellent, fit for purpose and sold by three different but established firms. For a frameless glass door without the visible mullion, the FGC door is better in our view. It doesn’t have one. The FGC door again seems to win on functionality with simplicity. One product does it all. It is a door that will meet every customer need as one product. If you want a double or triple glazed door you can have one without having to choose an alternative. FGC doors are suitable for both external and internal applications, commercial and residential projects as well. As an external door, the FGC door meets Building Regulations. It also offers transparent information on its certification and accreditation. It’s security tested, weather tested and has patents. So what about prices of these doors? The nature of the door industry is such that there are no recommended retail prices. All three businesses are transparent in their pricing, and we suggest you contact each company with your requirements for a quotation. We have stressed throughout this review that each product is fit for purpose, and you should see all three to help your purchasing decision. We set some benchmarks to compare the three doors around the glass, aesthetics and technical specifications. What we did find is a lot of confusion around frameless doors. We suggest you do your own research as well. Frameless Glass Curtains offer a frameless glass door at home internally and externally. The important thing to remember is that most types of frameless glass doors come with some compromise. You either have to choose a non-thermally broken system, or a slim system with advanced glazing or one that is for internal use. Frameless Glass Curtains as a complete product doesn’t compromise, and we consider their doors be a great door solution whether you need it inside or out. It offers all the benefits of an insulated, secure, weather tested and certified aluminium door but as a frameless design without a visible mullion. If you would like more information on frameless glass bifolding doors or any other door product, please contact us. Sunseeeker images courtesy of Sunseeker Doors. Hello David, thank you for your comment on the Aluminium Trade Supply Website. It is perfectly possible to do the frameless glass doors at the sizes you mention. For the best prices and service I recommend you contact the manufacturer directly that can also install nationwide. Hope this helps, please don’t hesitate to get in touch if you have any questions. I’m looking for any personal reviews of Vision Glass Doors, who I think also trade as Sunseeker. Particularly looking for opinions on their UltraSlim Slide and Turn and how it compares to others in the market (e.g ID Systems). This article is a couple of years old, so I’m not sure if it is all still relevant? I’m particularly interested in any clarity on performance from a weather and security perspective. Hello Mark, I’ve replied to you by email on this. We’ve never had anything negative reported on these doors and ID Systems have done a lot of installations with these doors. It is a little difficult to get clarity on weather and security and whether the doors have been independently tested. This does not mean a door that is not tested is easy to break into, or that it will leak! It just means that it does not have the independent certification of other systems. ID Systems/Sunseeker should be able to clarify this directly. 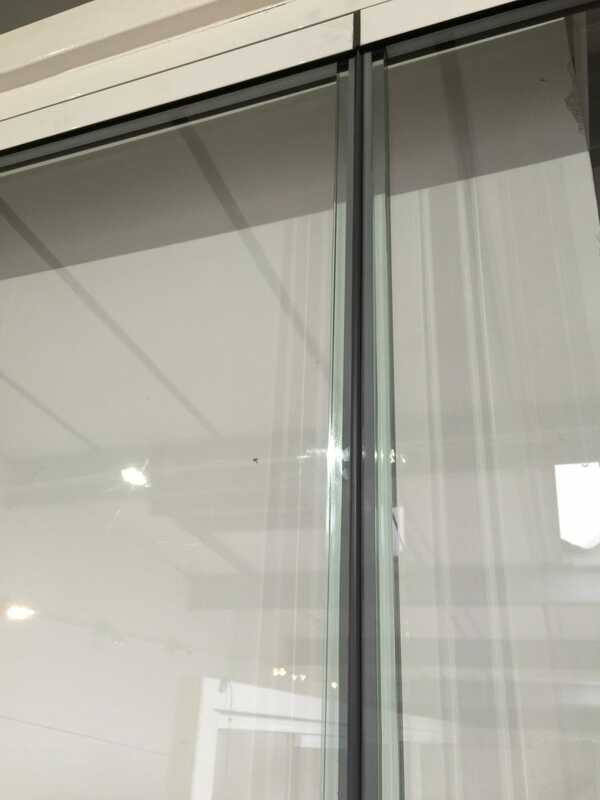 Hi, I am interested in the frameless glass curtain, ..measuring 5 mtrs. I realise you would need other details, of our requirements, but could you please begin to give me a …not fixed quote, just to give me an idea, for. 5 mtr frameless bifold, thank you. Thank you for your enquiry. Give FGC a call and they should be able to give you an approximate price over the phone. Could you please give me a price on 6m x 2m frameless bifold doors for the rear of a self-Build project. Many Thanks. Hello Helen, our website is an information resource only and does not provide any prices or product. The below two systems offer a range of single and double glazed frameless doors as possible suggestions. Or do get in touch via our contact forms with your location and I can put you in touch with someone local, but the above can help directly too. I am very much interested in frameless bifold doors. I would be grateful if someone can call me on my moble as soon as possible. Hello Sati, thanks for your question. If you’d like to get in touch using our contact form with your location, I can put you in touch with some local installers of these products and answer any questions you may have.